As our students progress through their academic journeys, many become mentors, coaches and leaders of the Fulton Schools student body. There are multiple opportunities for students to assist and lead their fellow students to success, as well as inspire prospective students to join the Fulton Schools. Fulton Ambassadors are a select group who give the ASU student perspective to prospective students at recruitment events and outreach activities. These outgoing student volunteers give tours, host students on shadow days, share personal experiences and get the word out about opportunities available at the Fulton Schools. 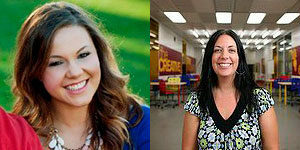 They represent all majors at the Fulton Schools on both the Tempe and Polytechnic campuses. Meet the Tempe campus Fulton Ambassadors and the Polytechnic campus Fulton Ambassadors. Do you know a student who would make a great Fulton Ambassador? Tell your Polytechnic campus students to apply any time. Tempe campus students can watch Inner Circle for application opportunity announcements. You can also recommend Polytechnic and Tempe campus students to Kimberly Robinson at kim.robinson@asu.edu. Senior Coordinator for Student Recruitment Kaely Graham and Coordinator for Undergraduate Recruitment Kimberly Robinson are faculty advisors for the Tempe and Polytechnic campus Fulton Ambassador organizations. In Kaely’s advising role, her goal is to provide the Fulton Ambassadors with the support and guidance needed to ensure that the experience prospective students and their guests receive is engaging and informative. She and Kimberly want to ensure that every guest is aware of the Fulton Difference and that they encourage our students to customize their experience with the multitude of opportunities and support offered within the Fulton Schools. Kimberly enjoys her role as the advisor for the Polytechnic campus Fulton Ambassadors because she is able to assist them to share the Fulton Difference with prospective students and their families. She supports our ambassadors and helps to guide them to bring the best experience to the visiting families for the short time that they are here with us on campus. Not only can the Fulton Ambassadors share what ASU has to offer these students, but also the resources available within the Fulton Schools. Our ambassadors have the opportunity through this organization to learn many skills needed not only in life but in a work environment and we at the Fulton Schools are excited to be a part of their lives in this way. Sophomores, juniors and seniors can serve as Undergraduate Teaching Assistants, or UGTAs, or Section Leaders in a variety of Fulton Schools classes, including ASU 101, FSE 100 and EGR 101. UGTAs and Section Leaders assist faculty members with exploratory and collaborative learning activities. They also help students by acting as a cultural bridge from high school to a university environment, promoting students’ self confidence and self reliance and helping them navigate ASU and the Fulton Schools. These students spend about five hours a week in your classroom or lab, and meet with you regularly to plan activities. UGTAs and Section Leaders spend about five hours per week assisting a faculty member in the classroom or lab and also meet with their faculty member to prepare for activities. These students can hold limited office hours and review sessions, through classroom and lab activity assistance is their focus. Faculty can request a specific UGTA for their class. 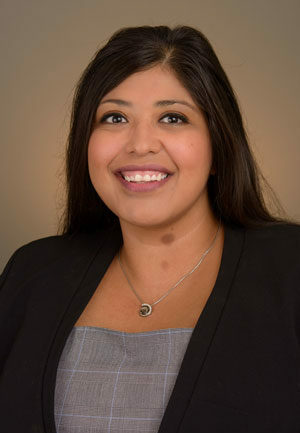 Nicolle Sánchez, coordinator of Academic and Student Affairs, oversees the UGTA and Section Leader program. She works with engineering faculty and their UGTA needs to select, schedule and place UGTAs into the first year engineering classes (priority) as well as engineering content courses. Nicolle coordinates training and events for UGTAs throughout the semester and she is the acting liaison between the FSE 201 instructor and Human Resources, to assist in hiring and UGTA issues and concerns. Danielle Sosias, Coordinator Senior of First Year Programs within Fulton Schools Student Success team, oversees various Tempe Peer Mentors and their residential and off campus community programs. In addition she also coordinates annual residential events such as the Fall Kick Off BBQ and Men’s Basketball Tailgate. Jesus Chavez, Coordinator of Student Success and Engagement within the Fulton Schools Student Success team. Collaborates with University Housing in co-supervising Polytechnic Community Assistants and their community programs. In addition, he also coordinates annual residentials and campus wide events such as Innovation Showcase, Boat Races and Family Weekend Car Show. All students living on campus have student residential community leaders on their floors. Upper division students in these positions can make a difference in these students’ success, keep them engaged in the community, connect them with other Fulton Schools resources and create a great residential community environment. Community assistants are community leaders on each floor of a residence hall. They actively build relationships with other students on their floor community, serving as a mentor, resource referral and role model to others. Community assistants plan activities for residents to help keep freshmen engaged with the Fulton Schools. Danielle Sosias and Jesus Chavez oversee residential community leader opportunities on the Tempe and Polytechnic campuses. Christina Hernandez joined the Fulton Schools in May 2017 and is working with several first-year initiatives to support student success. 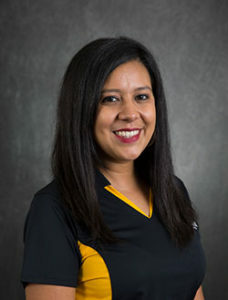 Christina is a proud Sun Devil, with a Master of Education in Counseling from Northern Arizona University, a Bachelor of Science in Recreation Management and a Nonprofit Management Certificate from Arizona State University. Christina has worked in higher education for more than 14 years in Arizona, California and Texas. In that time, she had the opportunity to work in several areas, including first-year retention, early outreach, leadership programs, fraternities and sororities, scholarship programs, special events and admissions. Students that have excelled in their courses and have an interest in helping fellow Fulton Schools students succeed are who the Fulton Schools seek to become Study Group Leaders. Study Group Leaders provide small group academic review and support to students in targeted high-stakes courses. They do so by creating learning plans, using peer support techniques and leading subject specific study groups in key subjects. A new staff member will be taking over leadership of study groups this semester. We work to identify and train successful undergraduate Fulton Schools students to serve as teaching assistants for ASU 101. Section Leaders assist faculty members with exploratory and collaborative learning activities, and at times lead sessions and learning. Section Leader act as a cultural bridge from high school to the university environment, helping freshmen to navigate the institution, promote self-confidence and self-reliance, act as role models who demonstrate personal and academic success, and may hold office sessions. After a student has served one term as a Section Leader, they then can be eligible to become an Executive Section Leader. Executive Section Leaders serve as a channel of communication and student support working directly with our school appointed/major specific retention specialists and participating faculty chairs. Christina Hernandez leads the section leaders and executive section leaders opportunity for students. Peer Career Coaches help their fellow students explore career options in their major through one-on-one meetings and workshops. The Fulton Schools Career Center trains sophomore, junior and senior undergraduate students as well as graduate students in career development, résumé writing, job search resources and other areas related to career exploration. Students interested in becoming a Peer Career Coach should watch Inner Circle for openings. Joyce Donahue manages the Peer Career Coaches at the Fulton Schools Career Center. 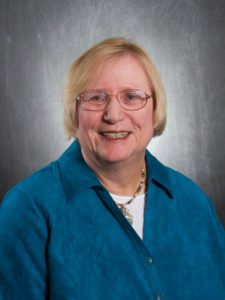 Joyce Donahue is also responsible for all undergraduates and the first year experience career-related programming. 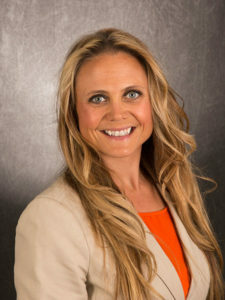 She is a nationally certified career counselor and holds “Master Career Counselor” membership status in the National Career Development Association. The Fulton Schools Student Council is the governing body of Fulton Schools students. This leadership group strives to cultivate strong engineering and technology professionals. The council serves as the voice for all registered Fulton student organizations and organizes events like social mixers and open forums. The Fulton Schools Student Council also is responsible for many Fulton Schools traditions — including the Fulton Schools Homecoming float, Engineering E-Week and trebuchet launches — and creates new ones! Cortney Loui, coordinator of student engagement, serves as advisor to the Fulton Schools Student Council. She partners with FSEC to support Fulton Student Organizations with professional development and financial support. She works with Fulton Schools students with their student organizations’ promotion, membership retention, managing finances, officer development and more. She also helps with Dean’s Funding, officer training, safety training, communications and other student organization development activities. Each summer, we host a number of camps designed to engage K-12 students in science, technology, engineering and math-related activities to inspire a passion for STEM. From robotics to mobile app creation, our goal is to share the excitement of engineering and technology with aspiring future engineers and problem solvers. Faculty and staff can help promote and recommend camp counseling positions to your exceptional students. Please contact engineeringoutreach@asu.edu or Brittney Martin at brittney.martin@asu.edu to recommend anyone who might be a great fit! 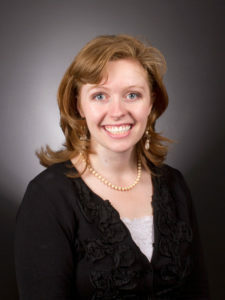 Associate Director Hope Parker helps build engineering and social entrepreneurship-based programs and opportunities for preschool through community college students. She advocates awareness, education, social and personal impact for the next generation of engineers. Coordinator, Sr. Brittney Martin manages various summer outreach events at both Tempe and Polytechnic campuses, including Summer Fulton Academy summer camps. In addition she works closely with Fulton Student Organizations helping them plan and coordinate outreach to K-12 students. Upperclassmen can help our incoming freshmen learn the ropes at E2 through several leadership roles. E2 Camp Counselors, or E2C2s, help incoming students learn skills that are important to their success at the Fulton Schools through a variety of fun and interactive activities. E2 Recruitment Leads, or E2 Leads, oversee all camp activities. Students who are good fit for this role are passionate about E2, have served as E2C2s for several summers and are active student leaders within the Fulton Schools community. E2 Recruitment Assistants are the behind-the-scenes planners of E2. These important players at E2 also assist the R2 Lead and senior coordinator in getting incoming freshmen excited to attend E2 and help answer questions. They also are responsible for reviewing all activities to make sure they’re the best and most innovative we can provide. Danielle Sosias also oversees E2 camp planning, coordination and promotion.